We all enjoy LEGO® creations in different ways. Whether it’s the building of intricate designs, the amusement of collecting and posing minifigures, or the simple joy of connecting bricks, there’s a certain magic that keeps people of all ages coming back. 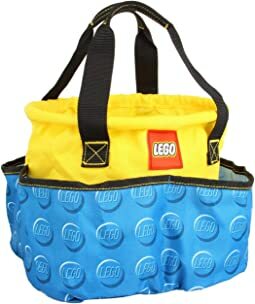 LEGO® Bags are designed to capture all the elements of the LEGO universe — creativity, humor, even nostalgia — and engage the user in a play-like experience. 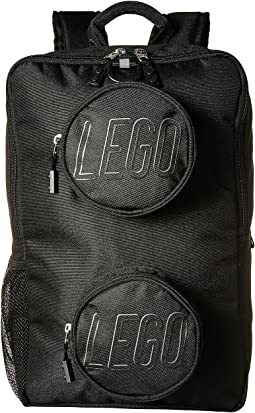 LEGO® Bags are intentionally built for comfort, functionality and safety. They feature padded, ergonomic shoulder straps to promote better back health, as well as 360 degree reflective detailing to enhance visibility. 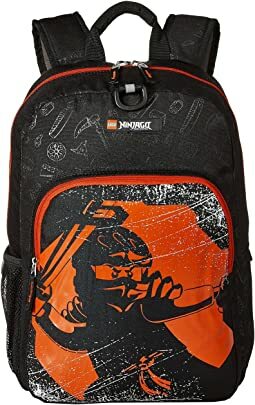 The designs have been perfected over the years, giving them comfortable carry handles, well-placed pockets and straps, and a smart buckle system for connecting backpacks and lunch bags. 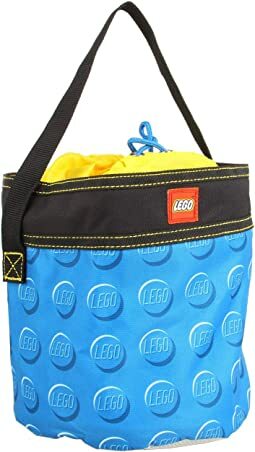 LEGO® Bags are made using materials from post-consumer water bottles and FSC certified packaging. Whenever possible, they choose materials that are both durable and easy on the planet. For school, work, home or travel, there is a bag or accessory for every builder. Play has no age limit and neither do LEGO® Bags. Stay young. Have Fun. Be awesome! This is a good-size lunch box. It seems sturdy and my son loves its uniqueness. Great quality. Great graphics on the front. Padded straps and padded handle are exactly what I was looking for in a quality backpack. Looks like this backpack will stand the test of time. I bought this for my son for Christmas and it is absolutely adorable! 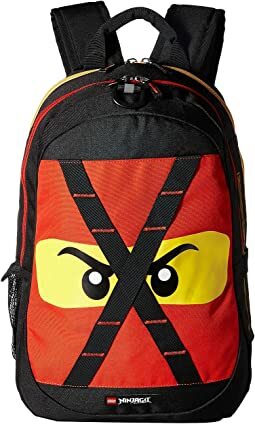 My son loves this lunch bag. It's the perfect size to fit and sandwich, small water bottle and a couple small containers of snacks. The front round pocket is a little small but enough to fit a small snack or two. Seems well made and the zippers are holding up. This lunch box is super cute and my son loves it! It was a little bigger then I expected but it’s perfect. I like that you can mix and match the colors. 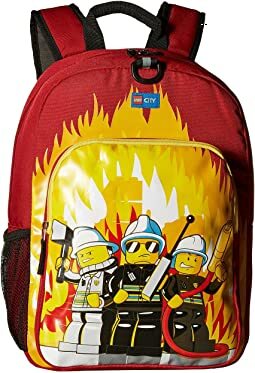 I got a red lunch box and a grey matching LEGO book bag. We get compliments all the time. Great look, back support, good quality material. No complaints. 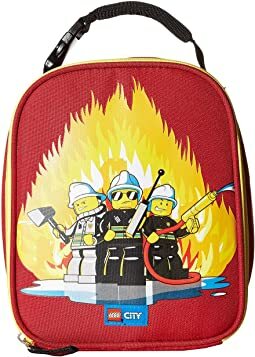 After searching around for a smaller backpack but not so small that my child would not be able to carry a standard size notebook and folder, we settled on this one. I knew my son would like the design and the parents would be happy with the beautiful colorful pattern too but once I got it I was pleasantly surprised that it had a lof of intricate detail inside and out. 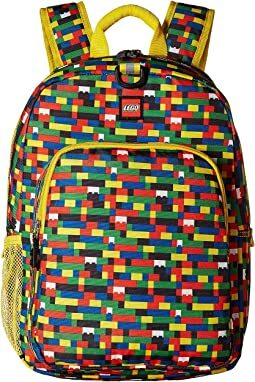 It has a giant LEGO outlined stiched into the back. 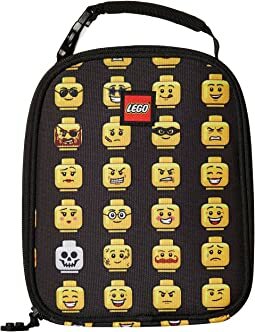 Also the zipper pulls are tiny little rubber legos, pretty cute. The inside has a neat lego print as well. So aside from it being beautiful it is nicely put together. 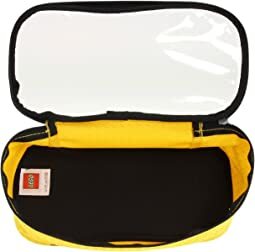 It fits perfect on my little 5 year old, who is smaller than most kids his age, and he can carry it no problem as it's not a gigantic bag that falls off his small shoulders. So happy we got it! The is great and looks just like the photo. 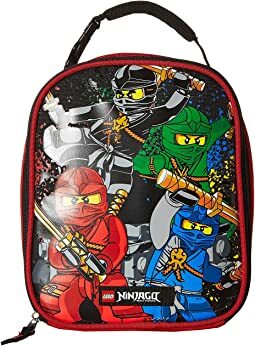 I knew this was a 16" backpack so the size was perfect for my 7-year-old. Has the outer mesh for his water bottle, a clip for charmes, and inner & outer pocket. It is a little on the pricey side but I liked the modern look of the print. Definitely, recommend. The perfect size for your kids! Very spacious and well constructed. Love the fact that you can get creative with the colors and mix ‘n match the lunch bag! My kids loved it and can’t wait to go to school now. Side note: it’s made out of recycled plastic bottles! So your technically going green too! Love it! Great color and very useful for school! Th pouch is perfect for snacks (usually a banana and vanilla cookies)! 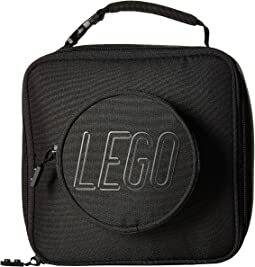 I hide little minifigures or a gummy worm in the logo holes to surprise our son. 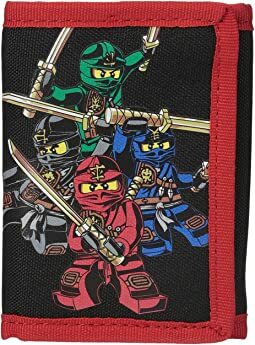 The pouch is perfect to bring a smile to our son's face at school. A win for any Legos fan. 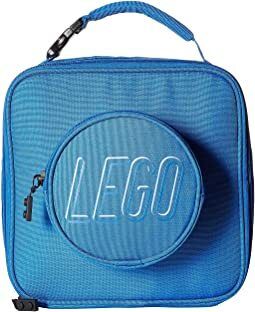 My son loves the "stud" compartment at the top - overall the bag fits a ton of food! It’s fits my son perfectly and he really likes his backpack. Perfect for my 1st grader. Not too big and bulky but still a good size to hold quite a lot!! Insulated well and perfect size! My 7 yr. old loves it! 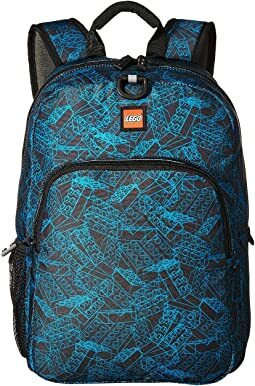 Especially along with the backpack to match! 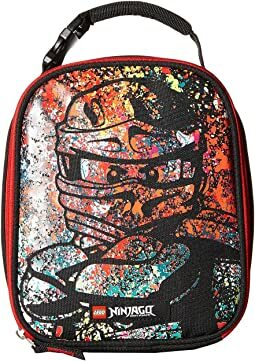 Great lunchbox for my little man to go back to school with. 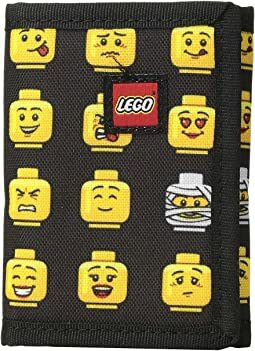 The Lego faces are super fun! 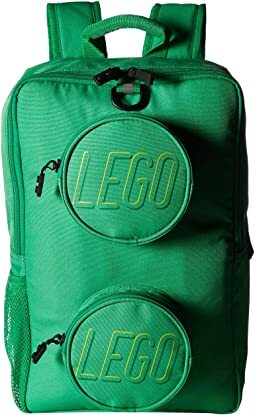 Our son loves his LEGO backpack! Good size for elementary school.